A food bonanza-fantastic Southwestern flavors plus good nutrition. 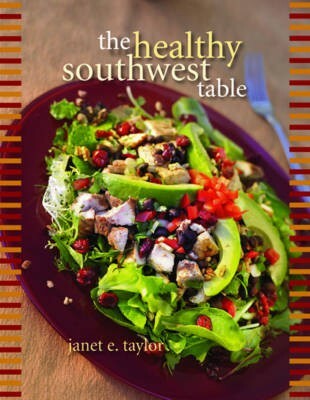 The Healthy Southwest Table features more than 100 recipes bursting with taste as well as nutrition. From zippy corn chowder to green chiles stuffed with tuna salad, these savory dishes are low in sugar, salt, and fat and high in beneficial ingredients such as soy, whole grains, and colorful fruits and vegetables. A healthy diet will strengthen your heart, bones, and immune system and reduce the risk of disease. But it can also delight your palate. Set an irresistibly delicious Southwest table with Janet Taylor's quick and tasty Vegetable Stir Fry, followed by Salmon with Sunset Sauce and delectable low-fat BerryPeach Crumble.